Masaki Suda & Mei Nagano are cast in NTV drama series “3rd Grade A Class: From Now On, You Are Hostages” (literal title). The drama series features an original screenplay by Shogo Muto (Kaito Yamaneko, Wakamonotachi, Kazoku Game) and will be directed by Naoko Komuro & Yuma Suzuki. 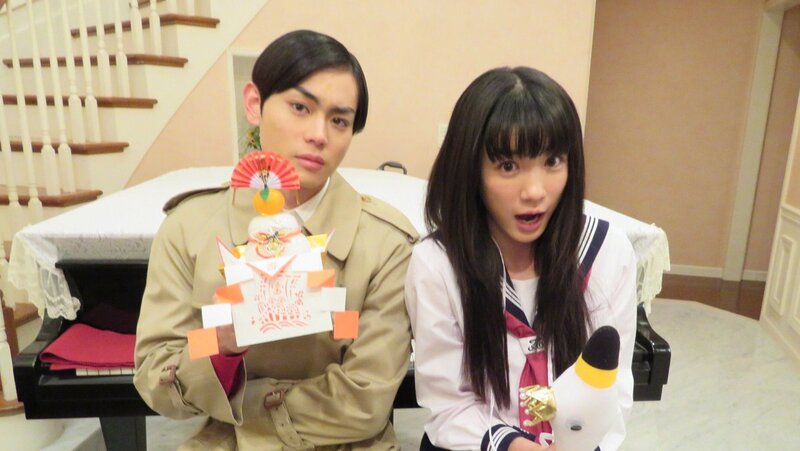 In the drama series, Masaki Suda plays high school homeroom teacher Ibuki Hiiragi and Mei Nagano plays his student Sakura Kayano. Days before graduation, Ibuki Hiiragi tells his students that they are now hostages. “3rd Grade A Class: From Now On, You Are Hostages” first airs January, 2019 in Japan. Synopsis: With 10 days to go before their graduation, high school life was supposed to come to a peaceful for the 29 students of Class 3A. However, on this day, the sound of an explosion reverberates, startling them. Form teacher Hiiragi Ibuki (Suda Masaki) gathers the students and tells them this, “All of you are now my hostages”. With these words, their relationship transforms from teacher and students to criminal and hostages. They begin their final class from this moment. It is about the truth of the death of a student who lost his life several months earlier. A star student who left this world all of a sudden without leaving a suicide note or saying anything. Taken hostage by their teacher, the students now have to confront the truth that they had been avoiding. Yes, and Imada Mio already joined the cast. Oh yes it's got Moka!! Tho I'm sure masaki suda will deliver the role like always. Looking forward to it! So the first eps went viral with Suda being trending no #1 and #4 worldwide. People who have watched it said it was intense. Hoping someone's going to sub this. God, what a fail. I thought this was a movie and was waiting for the release date. 😬 Good thing I clicked this thread again and saw your comment. Can't wait to watch it! God, what a fail. I thought this was a movie and was waiting for the release date. Good thing I clicked this thread again and saw your comment. Can't wait to watch it! Def watching this! Thanks for the updates. Suda Masaki is a great actor. I might watch this. I'm only half of the 1st episode so I don't have that much opinion yet but I've seen reviews who felt the same about the students. I was surprised since I'm expecting a lot from them. Kamio Fuju and Mochizuki Ayumu were amazing in their episode in Unnatural, Hotta Mayu was also great in Cold Case. Drama with synopsis like this is my favorite drama, hope someone can sub this drama. I am still on 2nd eps and not much of Kamio Fuju (he'll mostly in 3rd eps). So far the ones that I have problem with are Katayose, Rina Kawaei, and Moka. English sub for ep 1 is already available at d-addicts. 2nd ep eng sub is up! where can i watch 2nd ep with eng sub?